was held for MCM's Autumn/Winter 2016 Collection Launch at MCM Central Store. 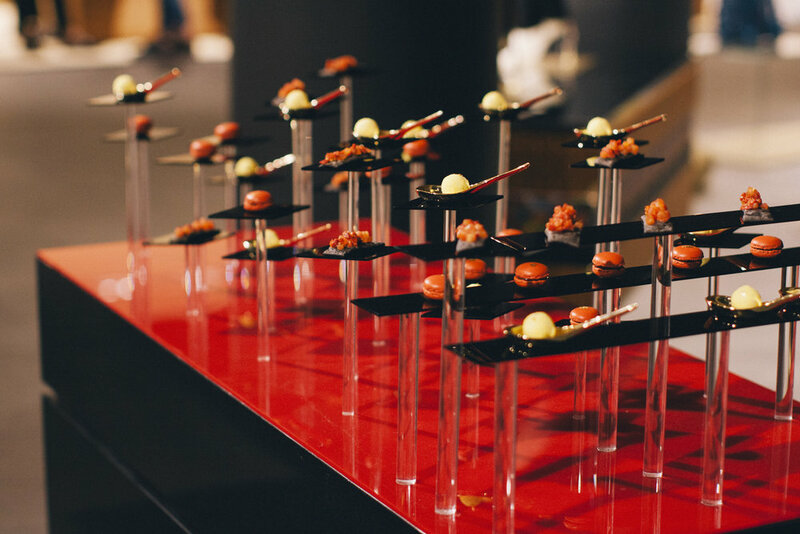 The look & feel of the event was German neo-classical with emphasis on the red and gold colours. 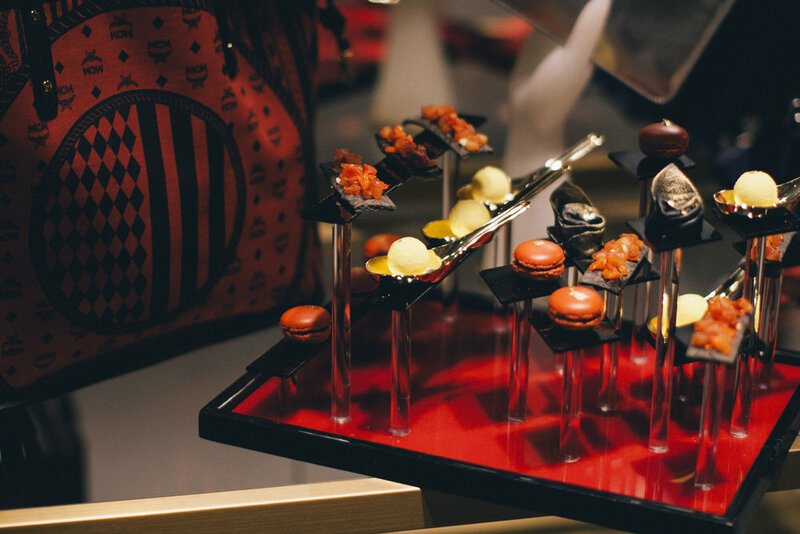 was custom serving trays inspired by the black rhombus pattern against the sharp red and gold colours.